The hitherto ballooning enthusiasm in the commodity space deflated a tad late yesterday and this morning following a modicum of back-pedaling on the part of Mr. Bernanke in front of the Senate Banking Committee. The Fed Chairman attempted to recast the idea that the US central bank is prepared to "give" something right away in order to stimulate what appears to be a slightly stumbling US economy. He advised that "we’re not proposing anything today." The prospect of no QE3 on the table soured the mood of the specs that had taken Wednesday’s Fed smoke signals and fanned them into wildfires in the commodities’ arena. 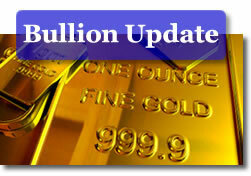 This morning’s metals markets opened mixed; gold was down, silver was up, the nobles were off, but oil was up. Spot gold fell $5.10 to start off at $1,581.90 per ounce as against a 0.21 gain in the US dollar on the trade-weighted index. Gold’s underpinnings appear to have taken somewhat of a turn at this juncture in price. We mentioned yesterday the drying up of interest in physical bullion in certain key markets. The analytical team at Standard Bank (SA) notes that- based on what it tracks in the physical markets for gold – "with gold below $1,530, physical demand was strong, which supported the gold price. But now, support from the physical market has turned into resistance. Since the start of the week, following gold’s push above $1,580, we have been witnessing growing resistance from the physical market." The team also found that "physical selling and scrap gold coming to the market has outpaced buying for the fourth day, pushing our Standard Bank Gold Physical Flow Index (GPFI) into negative territory for the first time since late-April. With gold above $1,580, the amount of physical selling we are seeing (in absolute terms) is the strongest in more than 13 months. However, it is worth noting the amount of physical buying (in absolute terms) we saw with gold close to $1,500 has also been the strongest in more than 15 months. We don’t discount the possibility of more gold scrap coming to market in H2:11." Silver climbed 6 pennies to open at $38.25 on the bid-side. Platinum declined $13 to the $1,749.00 mark while palladium lost $2 and eased to the $772.00 level. No changes were reported in rhodium this morning. The noble metals gained in value in concert with the rest of the complex over the past two weeks, however, their underlying support on the fundamentals’ side is far more robust than that which we currently have as a paradigm in the gold and silver markets. In fact, Standard Bank (SA) analysts opine that "the probability of industrial action at South African platinum producers is rising. Already the country is experiencing wide-spread industrial action in various industries (including chemical and energy). Consequently, fuel shortages have occurred in parts of the country, which the SA Chamber of Mines has said could disrupt mining output. Current negotiations in the platinum mining industry are likely to continue until end July. With a large disparity between employee demands and what the mines are offering, some disputes have already been declared. This could escalate into strike action by mid-August. Crude oil advanced to the $96.13 per barrel mark and copper exhibited a small gain, rising 0.12% to the $4.36 level. The euro remained fairly static near the $1.415 level and no fresh news was on tap from Europe other than the IMF’s most recent warning directed at Europe (at its banks that is). The week’s rating agency warning bonanza continued without pause and brought yet another finger-wagging admonition to the scene; the one coming from the desk of Standard & Poor’s. The firm said that it has placed the USA’s sovereign ratings on formal credit "watch" as it sees no real progress in the talks taking place in Washington to address the debt ceiling issue. S&P assigns a 50% probability to its possible lowering of the US’ long-term rating inside of the next three months, should the "political debate about the US fiscal stance…become more entangled." The latest in hollow calls for "action" (you know the kind of "action" being implied) coming from the GOP and from the Democrats in DC fell flat once again and Thursday’s talks ended with very little progress having been made on Capitol Hill. Ahead of the daily summit, the two US parties appeared to have agreed on roughly $1.5 trillion in (unspecified) spending cuts but President Obama feels that there ought to be an additional roughly quarter-trillion of cuts that everyone should be able to sanction. In other news of import this morning, the roundup of US economic statistics offered the by now usual mix of …mixed news. Consumer prices edged lower in June (down 0.2%) but the core CPI came in higher than had been forecast (up 0.3%). The net result leaves the Fed in status quo mode, as a) Mr. Bernanke has raised the ‘bar’ for any type of QE on a much lower trend in disinflation than that which the first figure this morning would point towards, and as b) the Fed’s inflation ‘targets’ are basically met, even with the 0.3% gain in June’s CPI. On the other hand, the US consumer sentiment did take a turn towards souring further last month, but only by a small fraction of a percent. Volatile stock markets and equally volatile energy prices were partially behind the mood change. The Empire State’s manufacturing index remained below zero for a second month in June according to findings by the New York Fed. In late morning trade, crude oil added $1.40 per barrel and rose to above the $97.00 mark. Reuters reports that there is "a fundamental contradiction at the heart of the Federal Reserve’s economic forecasts and the investment strategies recommended by oil and commodity analysts. Fed Chairman Ben Bernanke pins his hope for faster growth on the leveling out of oil and other commodity prices. But most banks and hedge funds are predicting continued growth will drive commodity prices much higher." Since we are on the topic of contradictions (and they are as abundant this summer as ever), let’s mention perhaps the biggest one of them all at this moment in time. While Mr. Bernanke, along with practically every sentient financial official in a capacity to speak, has urged US lawmakers to raise the debt ceiling and to address the issues of spending cuts, he is also taking the opposite side of the equation in practically the same breath by saying that "overzealous cuts to government spending in the short term could derail a shaky recovery and said a U.S. debt default could wreak financial havoc. Said Mr. B: “I only ask … as Congress looks at the timing and composition of its changes to the budget, that it does take into account that in the very near term the recovery is still rather fragile, and that sharp and excessive cuts in the very short term would be potentially damaging to that recovery,” Bernanke told the Senate Banking Committee. As we go to ‘press’ this morning, the latest wrinkle in wrangle over the budget and debts in Washington, for your consideration: the US House plans a vote on a $2.4 trillion higher debt ceiling, a plethora of spending cuts and the passage of a Constitutional amendment relating to a balanced budget. Tall orders, one and all. Myth-busting-oriented reading might well be in order as one heads for the shade of the nearest willow tree this weekend. Heretical statement number 864: The US is Not Drowning in Debt. Yep, that’s not a typo. At least, so says Time Moneyland’s Zachary Karabell, right here. Take that, Eric Cantor. One last bit of recommended reading for the weekend would be long-time Marketwatch reporter Myra P Saefong’s article on the risks (yes, there are risks) inherent in investing – even in gold. This, at a time when bold declarations about the only path for gold being the one headed much higher are as commonplace as fireflies on a summer’s eve. In The Lead – A Plan B From DC?